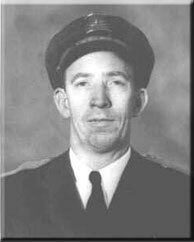 Chuck Warren joined the Utah Highway Patrol August 19, 1956. On September 2, 1969, Trooper Warren stopped a stolen vehicle on SR 77 just west of Springville, Utah. As he approached the vehicle, the driver produced a .22 caliber revolver and shot two times. Both rounds struck Trooper Warren in the head just above the right eye. The suspect was later captured and sent to prison. Trooper Warren was in a coma for several weeks. Although he regained consciousness, he never recovered from his injuries. He was paralyzed for life, had difficulty speaking, and had many health problems due to the shooting. On May 16, 1994, Trooper Warren died due to complications from pneumonia.